- - - - LOCAL PICKUP? Our Company Mission is to supply the Major Warehouse Distributors throughout N. America and Western Europe. As such, we work in a 'Warehouse Environment' and DO NOT have a storefront. However, we accept "local pickups," BUT ask that you place your order before you stop by. Please use our address for the shipping address so Maryland State Taxes are figured into your order. We will remove the shipping charges - Use of a credit card is encouraged for simplicity. Normal hours for pickup is between 10:30 and 4:30PM --- Monday through Friday. For other arrangements, please call 301-340-0224 and ask for Kenny Franklin or leave a message on ext. 109. 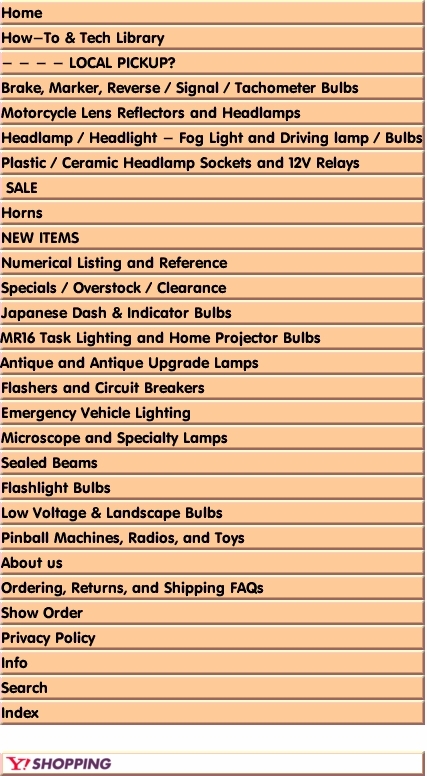 Thank you for shopping Candlepower Inc.